Quinnipiac University and Yale University. When it comes to local athletic rivalries, few top the bitter feelings felt between the Bobcats and the Bulldogs. 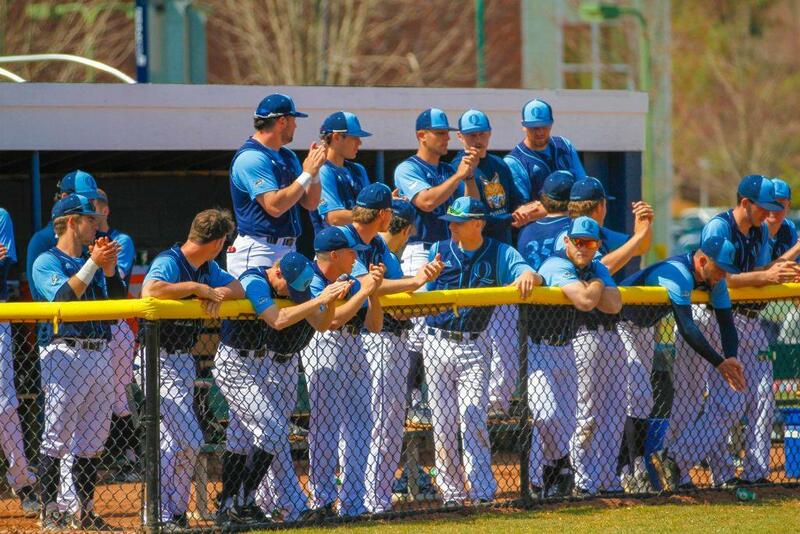 While Quinnipiac and Yale usually get together for hockey games, the two New Haven schools will meet at the Quinnipiac Baseball Field on Tuesday afternoon for a little out-of-conference baseball. Quinnipiac (14-19, 7-2 MAAC) has been an uneven 3-3 over its last six games, while Yale (11-20, 5-7 Ivy League) comes in having lost five of its last seven contests. Yale has a 7-4 edge in the all-time series, and has won three straight matchups against Quinnipiac, including an 11-2 thrashing earlier this year. While there are several flashier players on the Bobcats than Ostberg, few have been more productive of late. Ostberg has hits in 10 of his last 13 games, and has batted .370 over that span. The hot streak has raised his season batting average to a solid .300 and his OPS to .751. Those figures mark significant improvement from last year’s .283 average and lackluster .618 OPS. Ostberg can also play several different positions across the infield and the outfield. We won’t know where Ostberg will play until game time, but he’ll make an impact from any position. Griffin Dey is everything you want in a first baseman: he’s a 6’2”, 220-lb. behemoth that hits for average and power. Dey is slashing a meaty .336/.457/.597, and has popped seven home runs while driving in 32 runs. All of those figures lead the Bulldogs’ offense. Oh, and as if Dey wasn’t hard enough to stop with the bat in his hands? He is also a part-time pitcher, and a darn good one too. Dey has pitched in three games this year, striking out five batters over 2.1 innings of work. Dey is one of the rare players that can beat you on the mound or in the batter’s box. The Bobcats will have to prepared for all aspects of Dey’s unique skillset. The 2019 Bobcats are not quite as proficient with the home run ball as the 2018 squad was. Knowing this, John Delaney has turned to a different tactic to manufacture runs: the stolen base. The Bobcats are 12th in the nation with an average of 2.16 successful swipes per game. Three players (Ostberg, Marrero, Maves) have double-digit steals, and every player that receives semi-regular playing time has at least two steals to his credit. While anyone is a threat to go on the basepaths for the Bobcats, that doesn’t mean that they don’t run smart: the team has been successful on 70 of its 88 attempts, which imputes an excellent 80 percent success rate on stolen base attempts. Yale has some good throwing arms behind the plate, having nabbed 27.3 percent of attempted baserunners this year. The Bobcats will have to stick to their game plan and run at opportune times to score some runs. Not only does Yale collectively bat .282 as a team, a figure 13 points higher than Quinnipiac’s team average, the team is also extremely patient at the plate. They have drawn 15 more walks than the Bobcats in two less games, which manifests itself in an excellent .371 team on-base percentage. The Bobcats’ starting pitching is solid, but the bullpen has been atrocious this year. If the Bulldogs can work the count and chase the Bobcats’ starter after five innings, they’ll have a prime opportunity to feast on a weak bullpen. Be sure to tune in to QBSN’s live broadcast of Quinnipiac vs. Yale at 3 p.m. from the Quinnipiac Baseball Field in Hamden, Connecticut. Steven Pappas and Tom Krosnowski will have the call of the game. For live updates throughout the game, don’t forget to follow QBSN on Twitter.